Have you ever wanted to play SNATCHER, Hideo Kojima’s awesome SEGA CD game, on the SEGA Dreamcast? You might be able to do that soon enough, since Collectorvision is planning on remaking the game for the Dreamcast with ‘enhanced visuals’ and a remixed soundtrack. Outside of this, not much else is known. 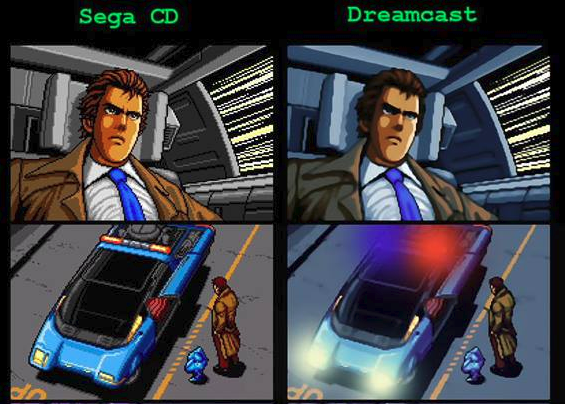 You can check their facebook post, where they posted the above image (comparing the graphics of the SEGA CD version to the Dreamcast remake). Don’t expect it to be out soon. Snatcher’s one of my all time favourite games, so I really hope they follow through on this one. Ohh, I hope they’re not using some random emulator filter to smooth out the graphics. Also, I thought they redid the game’s visuals on PSX and Saturn? 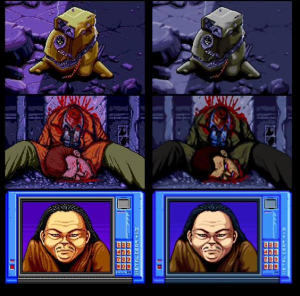 That said, Snatcher is a great adventure game for the SEGA CD, and its a shame Kojima never really goes back to it. The filtered graphics look pretty awful, a lot of the detail in the sprite art is lost. Hopefully there is an option for the original graphics? I agree. I wonder if its optional too. Pixel-smoothing filters are wrong. Wrong, I say! Plus, the color palette is so much more dull. Other than that, this is pretty exciting news. FAkkkkkkk the SEGA CD version, use the PCEngine model, and just add the extra locations, and translations. I with you 100% of the way, if this mess get under way. Loving it, loving power the NEC PowerVR, power to Hudson Soft. 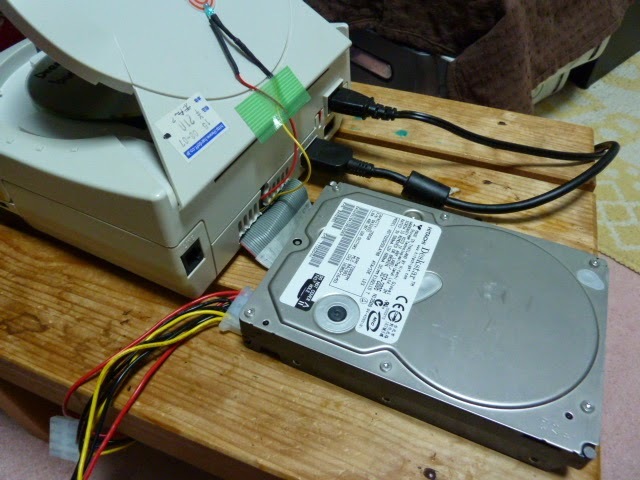 Long live the Dreamcast, long live NEC, in memory of the SEGA we once knew. PowerVR all the way, baby. Make sure the light gun for the dream-cast is integrated. Include light-gun mode? Yeah, it could look better but it’s great to see this going down, also the FB page says they’re taking from both the Sega-CD classic & PCE version as well! even says the art style isn’t final, heh. Big thanks for a cool piece of games information.